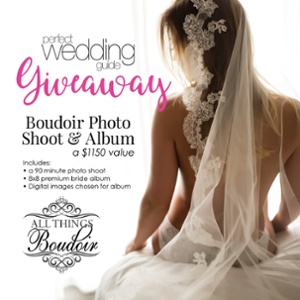 You’ve picked out/purchased your dream wedding dress for the big day, then it hits you… you’ll need something to wear for your bridal shower, bachelorette party, rehearsal and rehearsal dinner. Panic mode officially kicks in! But fret not, I’ve put together some statement looks that will be perfect for all your wedding events. Get a sophisticated look to wear the day of your bridal shower. Something that is comfortable and cute for all the pictures you’ll have. Before purchasing this dress, be sure to chat with your MOH in order to get a better feel for what type of dress you’ll need. If you are jetting off to a tropical location, something long-sleeved should be avoided… obviously. Seeing as this is your test run down the aisle, you will want something a little fancier. Go with a white maxi dress (to practice how you’ll walk in your wedding gown) or something fun with peplum. Just be sure to avoid jeans and a t-shirt, especially because your photographer may be there too. More than likely you and your new spouse will be traveling to your honeymoon hotspot, which means you will want to be comfortable. Skip the high fashion stilettos and think in terms of easy for the airport or car. Whether you are jetting off to a tropical local or hitting up a mountain town, it’s important to remember to keep your honeymoon looks comfortable and breezy. Particularly if you will be honeymooning in the summer. Beach bound? Pick up a cute all white bikini and matching cover-up. You can also pick up some casual dresses for your evenings out.